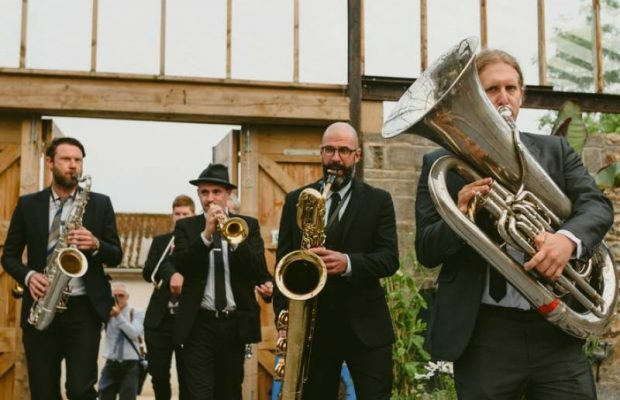 There’s nothing quite like a brass band to create a real sense of occasion, and we’ve a brass band for almost every event – whether you’re hosting a German-themed night or want a brass fanfare as you walk down the aisle. Brass bands don’t require amplification, so they’re also the ideal choice for venues with noise regulations or outdoor events where there’s no power. If you’re planning to get a little raucous for Oktoberfest or Bierkeller nights, our lederhosen-clad Bavarian oompah bands are a fun and interactive entertainment option, and usually feature a trumpet, trombone, tuba and clarinets. Or how about a lively New Orleans-style Dixieland band consisting of brass, woodwind and banjo, for your summer drinks reception. For weddings, a brass band or classical brass quintet is a refreshing alternative to string quartets or harpists during the ceremony and signing of the register. Or if you’re after an alternative to a standard function band, a brass fusion band is an increasingly popular evening entertainment choice, combining brass and drums (in the mould of Hot Brass 8) to fill your dancefloor to covers of chart hits from the likes of Michael Jackson, Beyoncé and Bruno Mars. Incredible new brass band bringing the rhythm and soul of New Orleans alive to your party, with a few pop covers thrown in. Also available with vocalist. Outrageously good fun brass band complete with Lederhosen for a riotous and authentic oompah experience. Ideal for Oktoberfest, apres ski and beer festivals! Available acoustic, roaming or with PA system. A dynamic brass and drums party band with a modern and exciting repertoire of pop and funk hits, performed in a New Orleans style. Various line-up options available. New Orleans style jazz band featuring saxophone and sousaphone backed by lively drums. Their repertoire spans a range of styles from across the Americas and Europe. Different ensemble line-ups are available to make each performance perfect for the event. 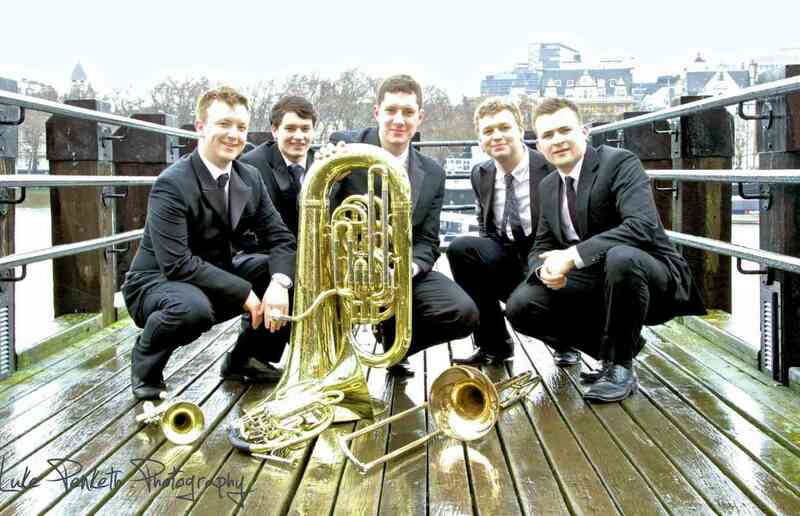 Young and versatile brass quintet playing their own special arrangements of familiar songs, from classical to jazz, and offering a unique sound for any occasion. Extra performances and bespoke arrangements of your favourite pieces available for an additional fee. Lively traditional oompah band, perfect for German Bier Keller nights or outdoor garden parties, for dancing, singing and thigh-slapping fun! Exciting new brass and drums band playing danceable pop songs as well as some Latin music. With Brazilian musicians in their ranks, the band will bring the spirit of Rio and Carnival to your event! Outstanding brass band who can adapt to a range of scenarios, whether playing pop songs for dancing at weddings, oompah in lederhosen at Oktoberfest or as a mobile marching band for promotions and processions. They can also add vocalists if required. The craziest Bavarian Oktoberfest party band in the UK! 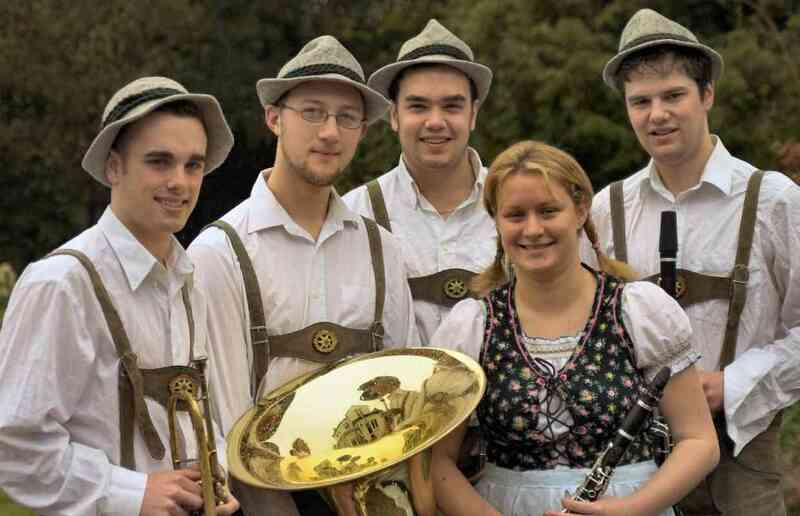 Bavarian Brass play traditional oompah songs as well as brassy pop covers such as Purple Rain and Bohemian Rhapsody. Games and a wacky compere are optional! Brass ensemble performing a huge range of material – Bach to the Beatles, Handel to Hendrix, Beethoven to Bacharach. Various line-ups available. Outstanding and vibrant ceremonial music for a variety of occasions, including weddings, corporate events, graduation ceremonies and anniversary celebrations. Available in a range of line-ups from a duo to a 20-piece ensemble! 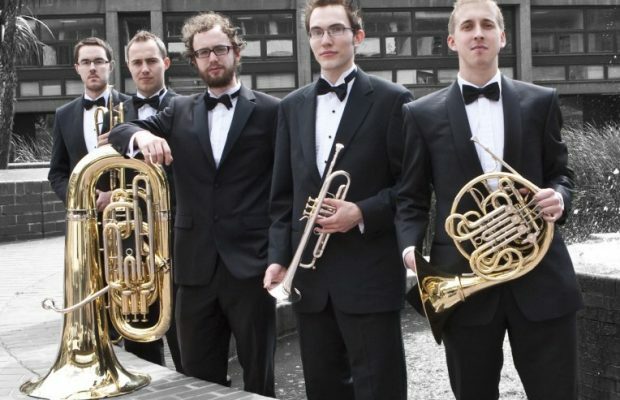 Dynamic brass quintet who have performed with the likes of The London Symphony, London Philharmonic and English National Opera. Wide and varied repertoire from The Barber of Seville to Bohemian Rhapsody! 3- and 4-piece ensembles also available.